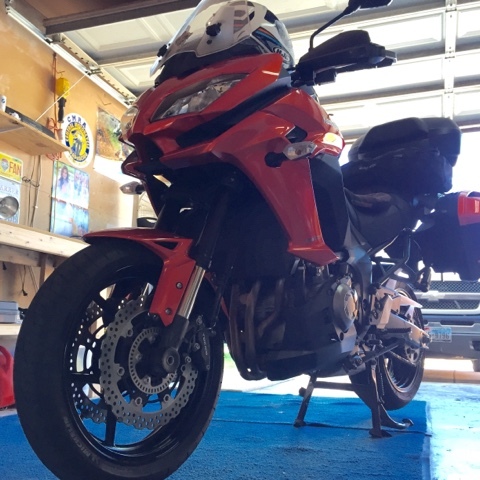 Moto Adrenaline: All packed - let's Ride! 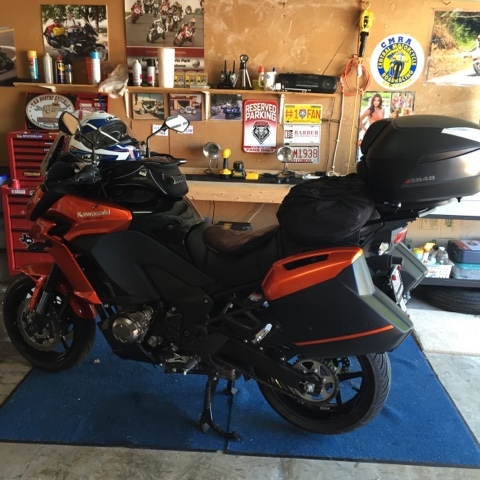 All packed - let's Ride! Well the hard work of packing is complete. Trying to get enough clothing and camping gear packed for a 6 day trip is tough, especially for two. I will be posting to the blog daily during our trip. That is of course if I have access to wi-fi. The only thing I have left to do for the trip is to load the GPS file. I'm looking forward to hitting the road. Looks like it will be in the triple digits in heat when I leave town on Wednesday. I am making a stop in Tucumcari NM to spend the night on Wednesday. 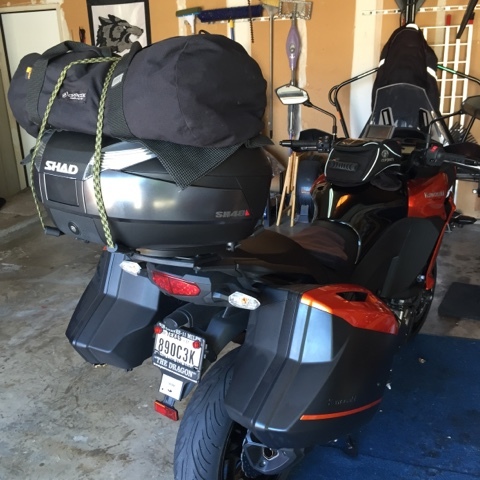 I have included pictures of the bike loaded up for solo and two up mode.